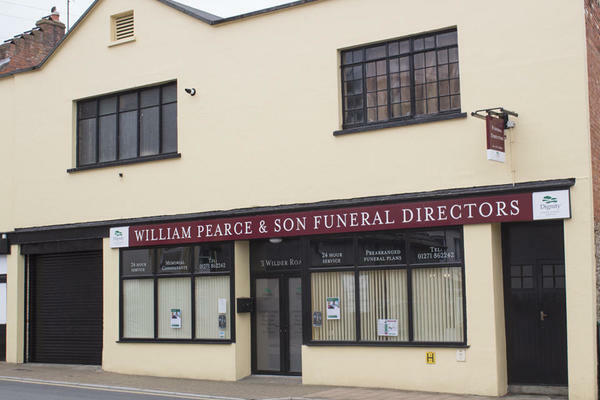 William Pearce & Son Funeral Directors in Ilfracombe has been providing a high standard of funeral care to the families of North Devon since 1920. At a difficult time, we are here to help arrange the funeral of your loved one. Dealing with loss can lay bare all manner of emotions, which is why our team of funeral directors is on hand to listen and offer comfort, helping to ease any concerns you may have. With our support, you will be able to choose the type of funeral your loved one has and tailor it to your own preferences. So whether it is a religious or non-religious ceremony, a funeral in the traditional mould or something a little more unique and contemporary, we will ensure it is personal to you and in accordance with your wishes. You can find our funeral home on Wilder Road, near to Ilfracombe’s Holy Trinity church. It has full disabled access and our location puts us within easy reach of all the town, as well as communities further afield, such as Braunton, Combe Martin, Morthoe and Woolacombe. If you are unable to get here, it would be no trouble for us to visit you at home. You can depend on the dedicated team here at William Pearce & Son Funeral Directors to tend to you, your loved one and family with care and compassion. There will be somebody available to talk at all times, so please, give us a call today. Call us today on 01271 862242 to talk through your personal requirements. At William Pearce & Son Funeral Directors, we understand how special life is with those that you love. For us, every funeral is unique and personal. We have a service to fulfil every wish, with every detail carried out with the same uncompromising quality of care. From a traditional service, to a colourful woodland burial, your options are limitless with our Full Service Funeral. If you have a little more flexibility when it comes to arrangements, then we can provide a Simple Funeral for a lower cost. There is paid parking available opposite our funeral home. We are on the left after the war memorial roundabout, close to Holy Trinity church. Our staff are available 24 hours a day on 01271 862242 if you require our services outside of these hours. This is the second time using William Pearce and on both occasions there care and professionalism was second to none. Thank you for taking the time to send your online review to us. I am glad that we were able to provide you with the care and support needed at this time and that you were so well looked after by our team.